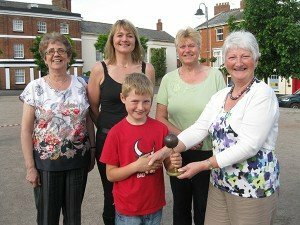 A little pre-Festival treat: Boules Tournament Saturday 6 June, 2pm-5.30pm, Town Square Crediton Twinning Association has held an Annual Boules Tournament since 1989 and in recent years have used Crediton Town Square for the event, it has perfect terrain for this sport. The competition is open to teams of four and there is a maximum of 16 teams. 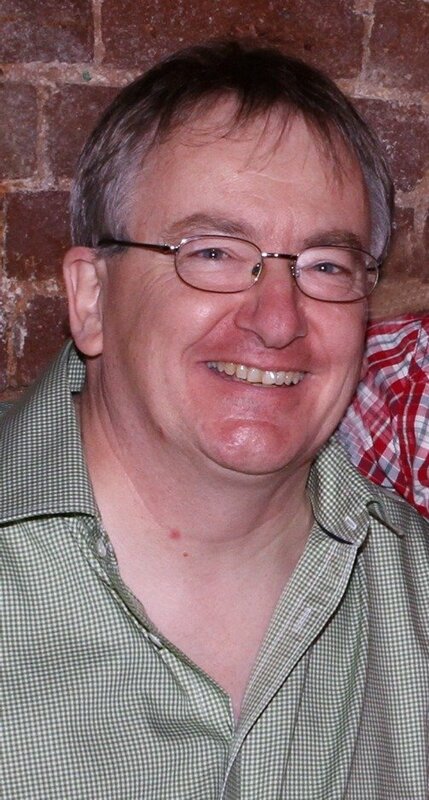 Entry is by contacting Peter Brewer on 07966106556 or by email peter2brewer@hotmail.com . Each team is guaranteed two matches as losing the first match places a team in the Plate competition. There is a winners and runners up trophy plus the plate trophy. No previous experience is needed and full instructions are given on the day. Sun 14th 12 noon-3pm Big Sunday Lunch; settle down on tables and chairs provided, enjoying your selection of delicious food from the stalls, have the children entertained while you catch up with friends and listen to the cream of local acoustic music from The Wee Free Men, Jess Laver, Whittall and Green, Treehouse and David Treadaway (more acts to be confirmed), curated by Crediton Arts Centre and East Street Acoustic. Football Tournament Saturday 13–Sunday 14 June, 10am-5pm, Lords Meadow Leisure Centre This 6-a-side all day tournament on the artificial turf pitch come rain or shine, with a cash prize for the winning team and runners up. 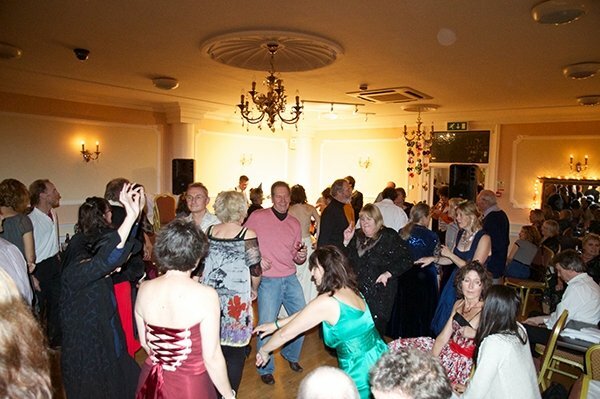 Plenty of end to end action, and entertainment galore. Prior enrolment required so download the entry form by clicking here, or contact lhedges@middevon.gov.uk for more information. 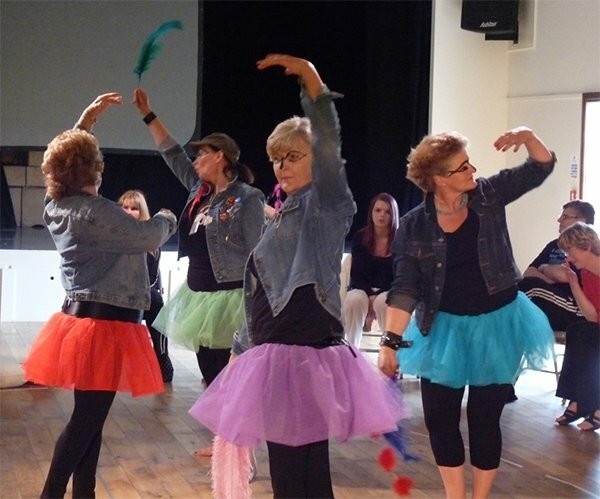 Love to Dance workshop and rehearsal, Saturday 13 June, 10.30am–4pm, The Moose Hall The workshop lasts until 1pm, with a rehearsal from 2pm-4pm.An adult contemporary dance workshop that explores improvisation and choreography. Lots of fun and a good workout to great music with dance warm ups and creative solos, duets and group dances to get your whole body and spirit moving with a view to creating a new dance company to inspire people to dance. This session is for men and women; no experience necessary; wear clothes you can move in. Tutor Sue Way is an experienced dance artist/teacher, MA Dance. Echoes of Wartime Saturday 13 June, 11am-12.30pm, High Street Common Players Theatre in association with Crediton History Society: ‘Echoes of Wartime’ street theatre drama reconstructions. Echoes of Wartime Sunday 14 June, 2pm-3pm, Common Players Theatre in association with Crediton History Society: ‘Echoes of Wartime’ theatre drama reconstructions to visiting delegations from Avranches (France) Fulda (Germany) and Dokkum (Holland). 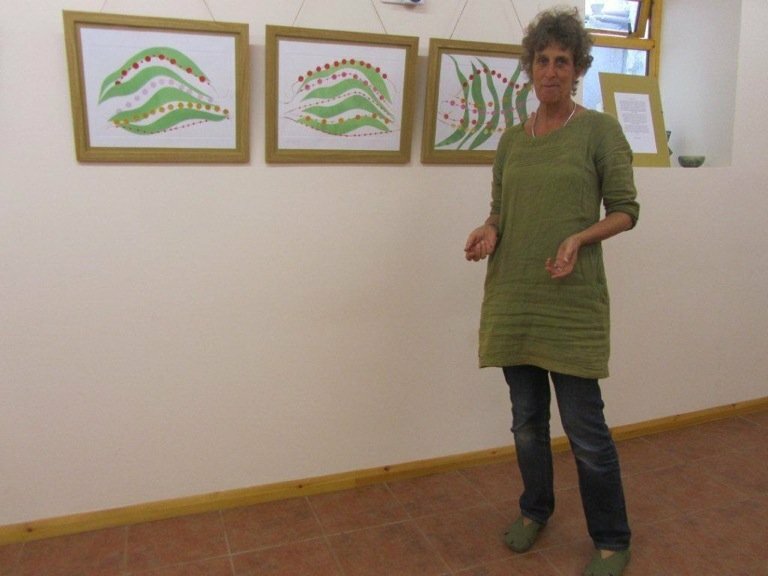 Molly Mackay Exhibition of prints 15 June to 11 July, by appointment, Crediton Arts Centre An exhibition of the late Molly Mackay’s beautiful colourful prints inspired by her journey over the last four years struggling with breast cancer, joining with community and experiencing the healing power of nature. This set of prints will be displayed as a tribute to Molly during the Festival.Viewing by appointment only. 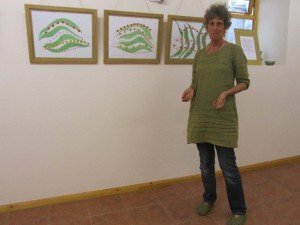 Please ring the Arts Centre on 01363 773260 to arrange a time.Meanwhile click on this link to view more about Molly and some of the prints. Tae Kwon Do Tuesday 16, 23, 30 June and 7 July, 7pm-8pm, Haywards Primary School Dip into a taster session with Crediton TAGB Tae Kwon Do; learn Korean kick boxing for self-defence, do some pad work and have fun. For 4+ years and adults. Free. 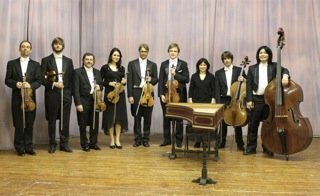 St Boniface Concert Society Thursday 18 June, 7.30pm, Crediton Parish Church St Boniface Concert Society was formed to provide a season of classical music concerts and during CredFest 2015 is presenting: Kammerphilharmonie Europa, a nine-piece chamber orchestra from Germany. Their programme includes concertos for solo violin by J.S.Bach and for solo trumpet by Hummel, a Mozart Divertimento and Holst’s Suite for String Orchestra. The Moon Jazz and Blues Club: Scott What It Takes Thursday 18 June, 8.00pm, Buccaneers Bar Live jazz from this band who have been playing together for about 25 years and make a groovy sound that swings even at low volume. Playing swing standard, Louis Jordan, latin, with occasional singing in Portuguese and a bit of reggae are: Nicky Scott (guitar, keys, vocals); Doug Kyle (double bass); James Goodwin (guitar); Pete Lowe (sax, clarinet, flute); Tony Plato (drums). The second half of the evening is a jam session; take lead on vocals or instrument, or sit in on the rhythm section. Please bring music charts to call a tune. 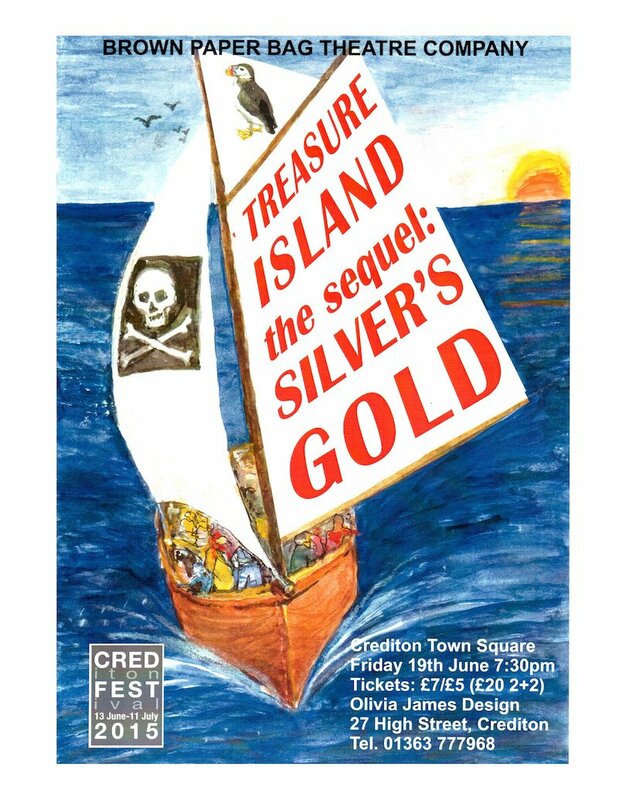 Silver’s Gold Friday 19 June, 7.30pm, Crediton Town Square Johnny Silver, a descendant of Long John has left ‘treasure’ to his granddaughter Sally in his will. But a voyage has to be made, a riddle needs solving and Sally and her friends are not alone in their search for wealth! Join the passengers and crew aboard a sailing ship as they head for an island where the search takes place among scenes from the novel. 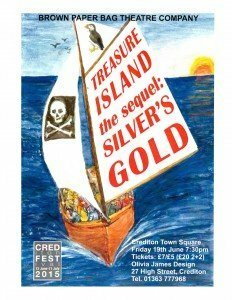 A fast moving re-working of R L Stevenson’s Treasure Island, suitable for audiences of all generations. Crediton Farmers’ Market Saturday 20 June, 10am-1pm, Town Square Crediton Farmers’ Market takes place on the first and third Saturday of each month throughout the year. Visit us to find food that is local, fresh, full of flavour and at its best. Our stallholders sell only what they have either grown or created themselves. We can tell you exactly how the produce came to be at the market, how it was reared, where was it grown, how was it made, whether it is organic, what breed or variety it is, and how to cook it! Life Circles National Training Day supporting quality activities in care homes through dance, Saturday 20 June, 10.30am-5pm, Moose Hall A day exploring how the Life Circles dance team use dance and movement as a stimulus in care settings to enhance the creativity and engagement of people who are frail and elderly. 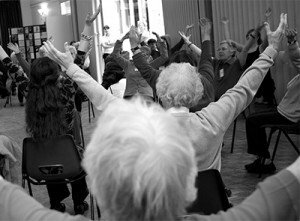 Led by dance artist and experienced trainer Rachelle Green who has a strong background in training staff in health and social care settings. Rachelle was the artistic director for the first stage of Life Circles set up through Take Art www.takeart.org and worked with film maker Mark Parry to create a teaching film that covers the key elements and challenges of working with older people in a way that is person centred, creative and inspirational. Rachelle and the dance team share this film and their expertise in a training workshop that covers all the fundamentals of effective, engaging arts practice with a view to enhancing activity programmes in care homes and inspiring carers and artists to try new approaches to delivering their activity programmes. Pilates Taster Saturday 20 June, 1pm-2pm, Town Square Every wondered what Pilates was all about and what this whole body exercise system could do for you? Now is the time to find out; watch or participate as Vicky Saunders and her team demonstrate the basics. Zumba Taster Saturday 20 June, 2pm-3pm, Town Square Time to watch or participate in a different exercise system with Natalie Bragg and Amy Salter. Time for dance fitness. Find out more on Facebook at zumbacrediton. The QE Night of Music, Drama and Dance (with guests) Saturday 20 June, 7.30pm, Town Square An evening of music showcasing talented students from QE Academy with a collection of GCSE and A level drama and dance pieces and QE Jazz Band; plus guests from The Katharine Mitchell Dance Revolution! and Common Players Theatre in association with Crediton History society: ‘Echoes of Wartime’ drama reconstructions.A free event. 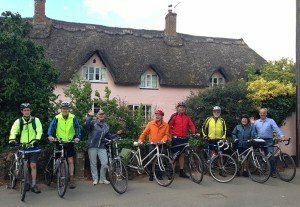 Summer Solstice Bike Ride Sunday 21 June, 9.30am-12 noon, Town Square Join sustainable Crediton for a ‘yellow jersey’ bike ride from the Town Square to Quickes Farm Kitchen and back. Coffee money plus £2 please (under 18s free). Guided Walk Sunday 21 June, 2.30pm-4pm, meet at Parish Church car park Join a guide from the Crediton Museum and Heritage Centre and learn more fascinating facts about your town. The walk will take you around the east end of the town, including a visit to Tolleys, believed to be the birthplace of St Boniface, and finish in the Town Square, lasting about an hour and a half. The Snow, The Winds, To Sing a journey in song round Old England, Sunday 21 June, 7.30pm, Crediton Arts Centre An evening of traditional music performed differently by Bold Set of Ruffians (“giving folk a bit of a seeing to”) accompanied by specially created live projections mixing archive footage of weird and wonderful England. 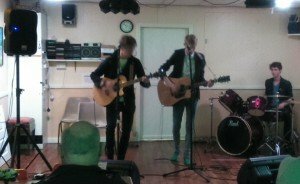 Youth Café and Music Night Wednesday 24 June, 7pm–9pm, Methodist Church Crediton Youth Collective run a regular youth café night but with the opportunity for young people to perform throughout the evening. Free. In 2012, a WWII Kittyhawk fighter plane was found in the Egyptian desert, intact after 70 years, half buried in sand. Operation Belinda tells the story of how it might have ended up there. 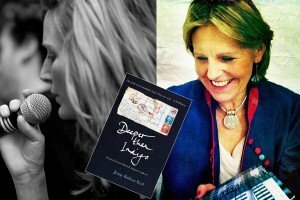 Placing a group of ENSA entertainers with a British RAF encampment, the writers Tessa Kemp and Jez Taylor have created a tautly written and engaging story rich in humour and romance, with catchy songs you’ll be whistling all the way home! 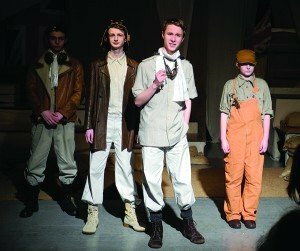 Following recent successes, including The Circus of Secrets and Gold Rush, and featuring a truly inter-generational cast, CYT’s latest co-production with the Crediton Arts Centre promises to be a treat for young and old alike. Guided Walk Saturday 27 June, 2.30pm-3.30pm, meet at Crediton railway station Join a guide from the Crediton Museum and Heritage Centre and learn more fascinating facts about your town. Hear about the battle of the gauges. The walk will last about an hour. 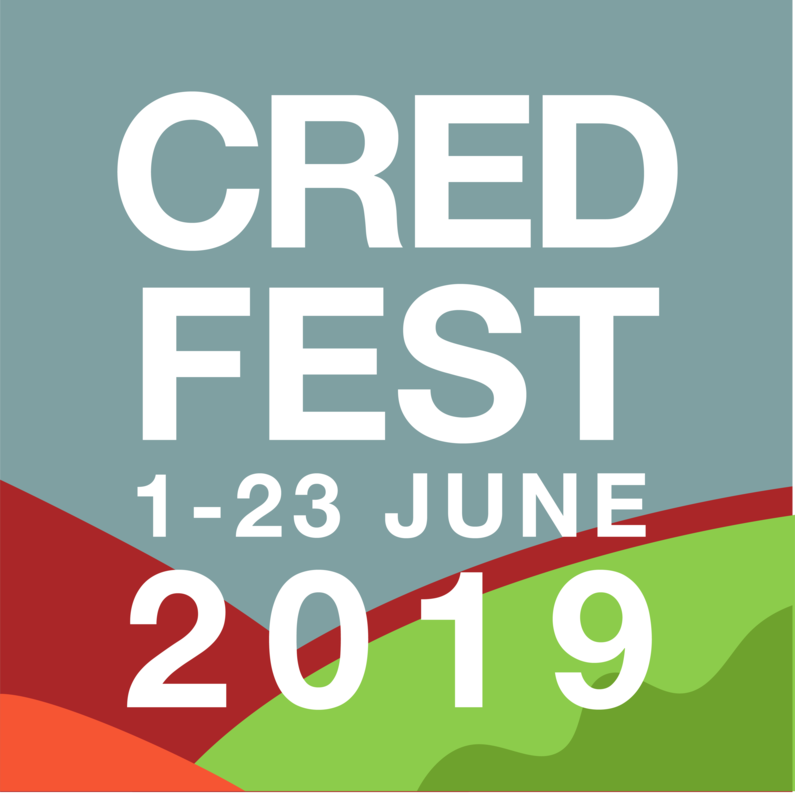 Crediton Festival Swimming Gala Saturday 27 June, 5.30pm-8.30pm, Lords Meadow Leisure Centre Local clubs by invite including Exmouth, Honiton and Okehampton attending.Ages 9+ to 16+ swimming 50m and 100m races on all strokes plus relays. Come along and show support for the Crediton teams. 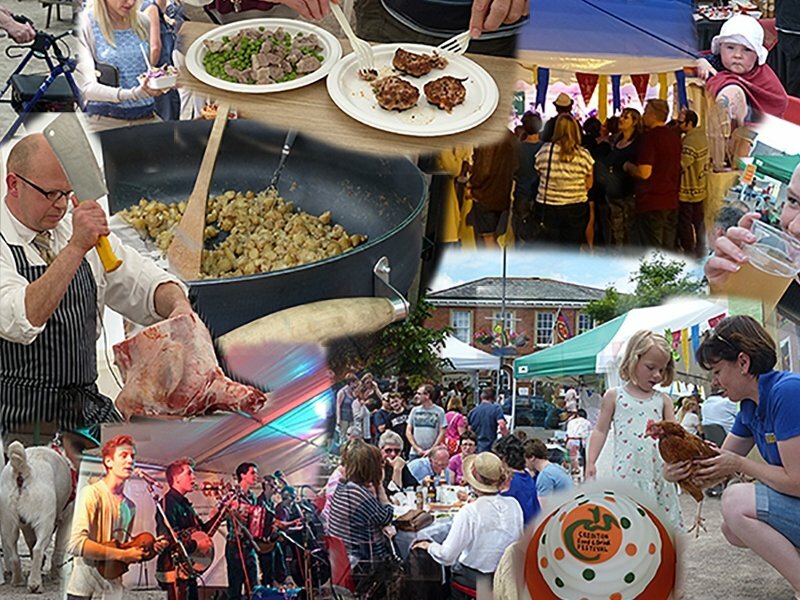 Copplestone Proms Saturday 27 June, 6pm-7.45pm, Copplestone School The Copplestone Proms, now in it’s third successful year, will be having an outdoor concert with the amazing “Locked Horns” 25 piece jazz orchestra. Bring your picnic and enjoy a wonderful evening of music in the grounds of Copplestone School. Tickets from Olivia James or at the venue. Digital Scalextric Evening Sunday 28 June, 5.30pm-9.30pm, Crediton Congregational Church Enjoy an evening of racing on the digital scalextric. 5.30pm–7pm for ‘Dads and Kids’, 7.30pm–9.30pm for 14+ years. There will be awards for under 14 and 14+ fastest drivers! A free event. The Marsyas Suite Wednesday 1 July, 8pm, The Moon Jazz and Blues Club, Buccaneers Bar This unique, many-faceted piece of chamber jazz was written by Marcus Vergette, inspired by Titian’s painting “The Flaying of Marsyas”. 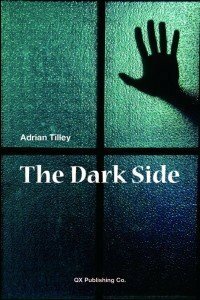 The music tells the story of a shepherd boy who finds a flute thrown away by Athena, he is challenged to a duel with Apollo, that ends as do all Greek tragedies! The piece was first premiered on Radio 3 in the 90s. This revival is performed by Roz Harding on alto sax; Janna Bulmer and Lucy Welsman on cello; Tom Unwin on piano; Marcus Vergette on double bass. QE Evening of Excellence Thursday 2 July, 7pm, Queen Elizabeth’s Upper School A showcase of performance work from GCSE and A level groups across the Expressive Arts department. Demonstrating outstanding creativity and skill. Ranging from original devised drama pieces to highly skilled musicians. Tickets £3 /£2 concs available from QE Upper School Library. 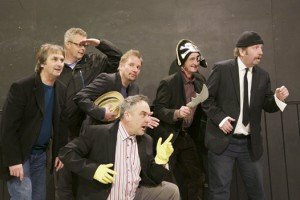 Comedy Suits On The Run Thursday 2 July, 8pm, Buccaneers Bar Comedy Suits return to The Crediton Festival for the fourth time, with a new show entitled Comedy Suits On The Run. This follow up to 2013’s Off The Peg (described by one punter as “really rather clever”!) 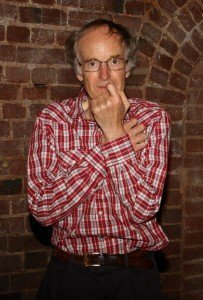 revisits the format of stand up comedy spots, poetry, songs, classic sketches and general mayhem, spread over a couple of hours.The Comedy Suiters are Clifford Bader, Pat Laver, Jez Taylor, Stu Wight and Julian Wild with the unenviable task of ringmaster and MC handled by Chorley’s finest, Richard Ward.Tickets are a laughable £5 each so expect ticket sales to be fast and furious. If you miss this evening or want another fix then they are back at the The Three Little Pigs on Sunday 5 July at 8pm. 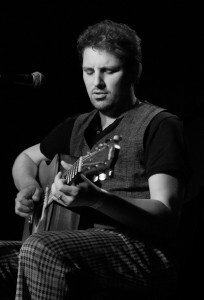 The Big Gig with Matt Woosey Friday 3 July, 7.30pm, Town Square auditorium photo copyright Stuart Stott Acoustic Blues sensation Matt Woosey headlines the centrepiece of Music Market 2015 at Credfest. Matt is a superb guitar stylist and great singer whose original songs have been gaining plaudits from the likes of Paul Jones and Tom Robinson (“Matt Woosey is the real deal”) on BBC Radio. Supported by enchanting close-harmony duo The Crow Puppets and local swing/ragtime band The Moonshine Serenaders. Crediton Farmers’ Market Saturday 4 July, 10am-1pm, Town Square Crediton Farmers’ Market takes place on the first and third Saturday of each month throughout the year. Visit us to find food that is local, fresh, full of flavour and at its best. Our stallholders sell only what they have either grown or created themselves. We can tell you exactly how the produce came to be at the market, how it was reared, where was it grown, how was it made, whether it is organic, what breed or variety it is, and how to cook it! Family Fun Day Saturday 4 July, 11am-3pm, Newcombes Meadow An event for all the family – come along to enjoy the Bouncy Castle, a BBQ, Games, Football, Tae Kwondo and much more. All provided by the Crediton Congregational Church for FREE. Crediton Festival Chorus, professional soloists and orchestra join together for a magnificent concert in the wonderful setting of the Parish Church. 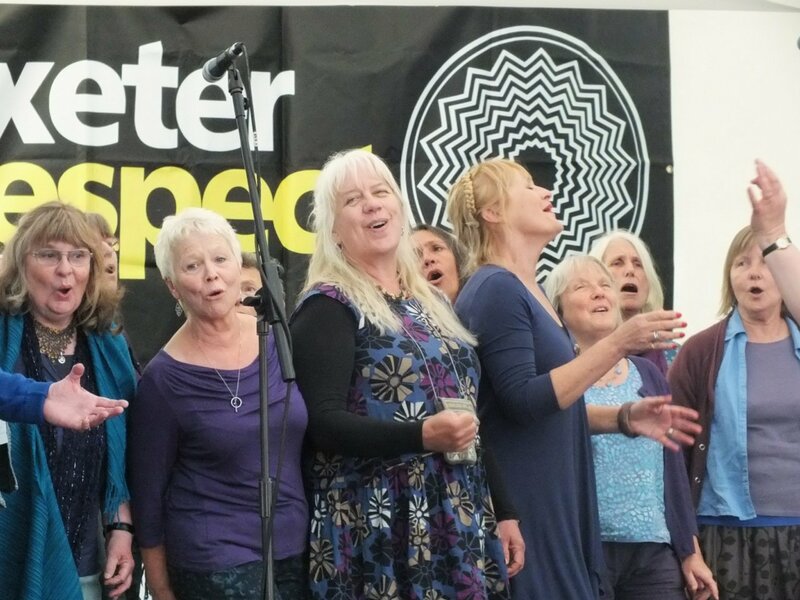 This specially formed choir will be open to any local singers with some choral experience. There will be 6 rehearsals leading up to the concert, for which details will be publicised by mid April (contact: t i n a . g u t h r i e @ b t i n t e r n e t . c o m). 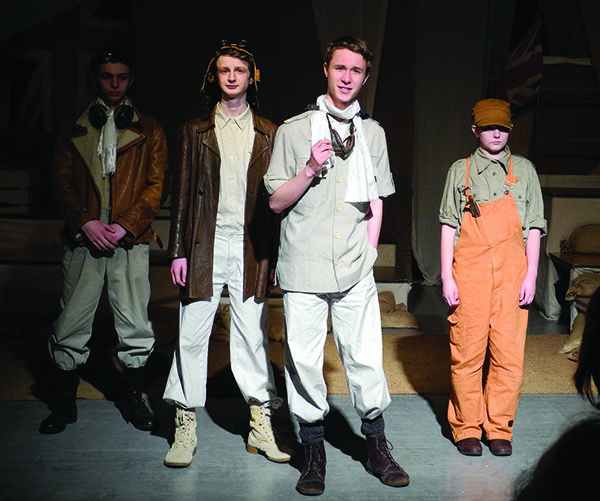 Tickets £10 (18-year-olds and under free), from AE Lee OutfittersWant to join the chorus? Download the registration form by clicking here. It’s a Pawfect Day in the Park Sunday 5 July, 10.30am-5.30pm, Newcombes Meadow Come and take part (with or without your companion) there will be a Companion Dog Show (Kennel Club approved); a south west heat of Scruffts for non pedigree dogs; Novelty Dog show for all breeds (look out for the schedule, all entry fees to go to The Greyhound Sanctuary); my dog has talent competition; with charity stands, demonstrations, music and food. Guided Walk Sunday 5 July, 2.30pm-3.30pm, meet in the Town Square Join a guide from the Crediton Museum and Heritage Centre and learn more fascinating facts about your town. See the site where the ‘Great Fire’ started and finish at St Lawrence Chapel. It will last about an hour. 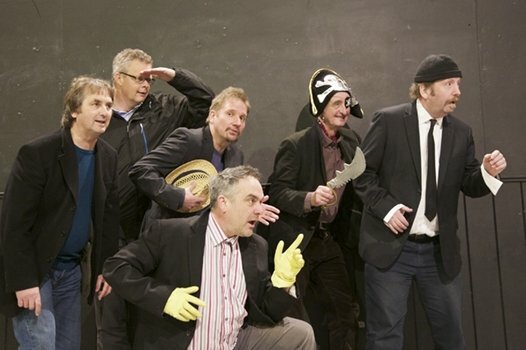 Comedy Suits On The Run Sunday 5 July, 8pm, Three Little Pigs Comedy Suits return to The Crediton Festival for the fourth time, with a new show entitled Comedy Suits On The Run. This follow up to 2013’s Off The Peg (described by one punter as “really rather clever”!) revisits the format of stand up comedy spots, poetry, songs, classic sketches and general mayhem, spread over a couple of hours.The Comedy Suiters are Clifford Bader, Pat Laver, Jez Taylor, Stu Wight and Julian Wild with the unenviable task of ringmaster and MC handled by Chorley’s finest, Richard Ward.Tickets are a laughable £5 each so expect ticket sales to be fast and furious. Tedburn Community Choir, Mellow D, Nota Rioty, Crediton World Music Choir, Heart of Devon, Youth Collective, West Gallery Quire, Crediton Congregational Worship Band, A mystery guest choir! It also enables local choirs to share their songs in an evening concert. The emphasis of the evening is enjoyment, celebrating our singing community and taking part in a really uplifting event. Tickets: £5 adult to include BIG SING, interval and concert. Open to family and friends, all welcome, no experience necessary. 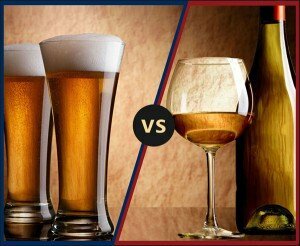 Wine v. Beer Friday 10 July, 8pm, Ashton’s in Town Square It’s grape vs grain as we pitch four wines against four beers – all carefully matched to a selection of tasty foods. Local beer and wine experts Bruce and Ben will guide you through the evening where you decide the winner – who will get your vote? The ever-popular Busk IT! returns to the shops, cafes, alleyways and pavements of Crediton. Folk, jazz, choirs, experimental music, classical music and more. Miss it at your peril. Would you like to get out and do more, or meet people who might welcome a helping hand? From Aquafit to Vibecycle at the Leisure Centre, or from campaigning for a cycle path to Exeter with Sustainable Crediton to volunteering in a Charity Shop in the High Street, Crediton has something for everyone who wants to be more active, or more involved in the community. Come and find out more, try out some of the activities that happen at the Leisure Centre (no lycra required!) and talk to people who organise many of the community and voluntary activities in town (no money required!). 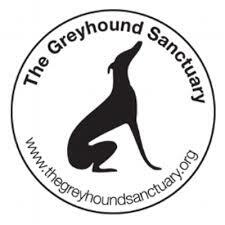 They may well have something you’d like to help with – or maybe you have an idea they can help you with? 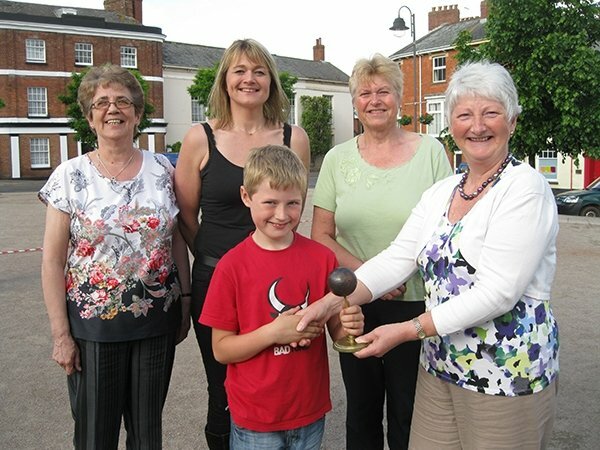 Copplestone Donkey Derby Saturday 11 July, 2pm-4pm, Copplestone School Unbelievable but true! Children racing on real live Donkeys and now in it’s third successful year. Have a flutter and cheer on your Donkey. Stalls and refreshments. Come watch the thrill of the races commencing from 2pm until 4pm. Festival Finale Party with Electric Spank Saturday 11 July, 7.30pm–11.30pm, Town Square FREE. A cornucopia of presentations, finishing with a party dancing to Electric Spank, who hail from deepest darkest Devon and are a 6-piece band who combine funk and soul with elements of swing jazz and afrobeat. Fresh and funky drum grooves are served with a side order of jazz guitar, topped with soulful vocals and trumpet – all nestling on a bed of rocksteady bass. Electric Spank are: Lucy Rice – Vocals, Carl Woodison – Trumpet, Ky Norgate – Guitar, Chris Legg – Bass, Jake Cole – Drums, Alastair Toms – Guitar.